Reports last week said the post office network could lose the Social Protection contract, but the Department says that isn’t happening. THE DÁIL IS to hear a private members bill that calls on the government to modernise An Post. The bill is to be introduce by Workers and Unemployed Action Group’s Seamus Healy and will be supported by a number of independents, Fianna Fáil and Sinn Féin. The move comes amid reports that An Post could lose the Social Protection contract, which would put thousands of jobs in jeopardy. However, the Department of Social Protection says that’s not happening. “Suggestions in recent days that An Post stood to lose the contract are incorrect. On December 22 last, the Department signed the new contract with An Post after the company successfully tendered for it,” the Department said. The contract will see An Post deliver over €9 billion of payments to welfare customers in 2014, involving more than 40 million transactions. The contract is for a minimum period of two years with the option to extend to a maximum of six years in total. 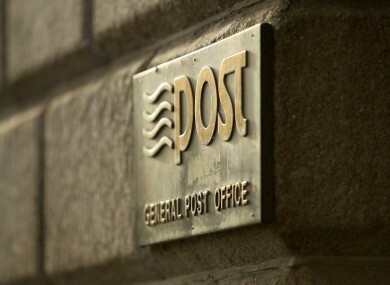 “The contract will be worth more than €50 million a year to An Post, and will support jobs and communities throughout the country, as An Post’s network of local offices will deliver the payments to customers. Healy’s motion, however, will call on the government to invest in the modernisation of An Post, in order to compete with banks in delivering the social welfare payments of the state. “The Department of Social Protection is encouraging conversion to electronic/bank payment of social welfare benefits. The motion will be debated for an hour and a half, starting at 7.30pm tomorrow. Email “Government must modernise An Post says Dáil motion”. Feedback on “Government must modernise An Post says Dáil motion”.